Very good as of ch36. Protagonist is very human aside from his ruthlessness. Protagonist is a alpha man that carefully plans his steps both in romance and real life. I hope I can provide some insight on whether you should pickup this novel. 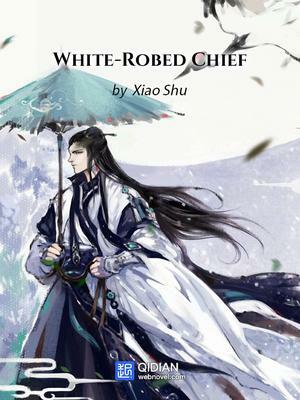 This novel is not for a casual wuxia (defined as "martial hero") and romance harem reader. This novel is a slow paced, political drama set in wuxia world with martial and assassin fights. Our MC is a calm head strategist that will resort to assassination, dirty scheme, and political moves. He will not fight head on with the enemy. The romance in this novel is subtle at best. Even though early on MC seems like he wants to... more>> pick every girls, he later changes into stoic MC with "loyal to love interest" type. A lot of girls will end up as friends or acquaintances, only very few will be in his lovers. MC is not center of universe, so there'll be political move which he made that is for the benefit of his ally. He will encourage political marriage, will make deal with his worst enemies, will breakup relationship for common benefits. I don't know why a lot of people gave this 1 star but I think this novel deserves better IMO at least maybe a 4 star. Though I'd give it a 2 if not 1 for the translator but I'm not one to judge a translator since I'm reading for free. So mostly I judge the story itself rather than the translation. The story is really simple & there are also filler chapters but still this is decent enough. The MC starts out weak but really gets OP fast. It also... more>> mentioned MC being a particle physicist in his previous life but he is more like a gardener in his present job which pretty much makes his past life irrelevant to the story other than MC having regrets having no power. Not my cup of tea, but still has some good points. MC is calm and shrewd. We feel his course to power. Promising non cardboard characters, even female characters. I like harem, but not harem seeking MC, so this is a deal breaker for me. Beware if you're not into seduction chapters, we have whole chapters of MC basically seducing his love of the moment. MC is supposed to be a reincarnated physicist. I've never heard about a physicist this smooth with flowers and women. His physician background isn't even used, so it's kinda random tbh. Not good in english, so please bear with me. First, The harem seeking tag, is kind of wrong. In the first 50 chapter it is kind of is mindset, but it get thrown away and he never really act on it. In the last 100 chapter that I read, there was no mention of his first crush. He does get a lot of woman attention, but it's more a Loyal to love interest than a harem. Currently in the story, something big happen and he had to break the relationship with Xiao Qi. Their is character dev and the flow is good. Don't expect a lot of action, combat usally don't take more than half a chapter, except for some specific one. The MC is OP, but not invincible. I give it 4/5 simply, because the story is a little slow pace from time to time and there is some flaw here and there and I can't give 4.5. I still do really enjoy the story, and I will be sad when I will be up to date and got to find another novel to read. If you are here because you're out of novel, give it a try, it's good. Couldn't get behind this one. The novel jumps straight into things and didn't really build up much foundation up to c18. There might be more later, but I didn't feel like it is worth continuing to find out. The protagonist is supposed to be an intelligent physicist, yet nothing regarding his behavior shows it. He wins thanks to gifts that are completely unrelated to it. He supposedly figures things out because he is smart and reads a lot, but he simply has the ability to see the truth of everything, or something of the sort. It feels like a lazier version of Library of Heaven's Path. He uses force to have one of the love interests to take pills that she has refused several times. The author describes characters' personalities in a certain way, but whenever they actually interact none of this is shown. The "protector of the weak" love interest believes that the MC should mind his place and work under the antagonist, moments after the antagonist telling her that he would try to cripple and even kill the MC, given the chance. Great novel. The MC is smart and cool headed. He has some initial advantages over others, but they came at the cost of delaying (possibly permanently) his cultivation relative to everyone else. Great pacing for the weak-to-strong aspects of the story. The plot so far reminds me more of those “grand strategist” type stories. The writing is excellent, and the translation is quite good, other than some inconsistencies in translating names (I suspect multiple translators are involved). Smart MC ? Definitely a big NO. Particle physicist ? Please. What kind of scientist will fall in love with random girls with good looks. The MC isn’t even good at anything the author kept picturing him being smart by using big words like root of wisdom without explain it but you just have to read to understand MC is anything but that. I don’t have to explain just read the first 10 chapters you will understand what kind of girl MC has fallen for. They qualify her as “innocent” I’d just say... more>> [beyong saving] should be the word. Even the worst transmigrator wouldn’t fall in love with a bird brain. I couldn't continue reading, I can handle if some characters annoys me since they are basically in every story out there, but when the MC can't see their hypocrisy attitude instead sees them as a pure maiden that can't hurt a fly, it irritates me a lot. One character is like Rachel (tower of god) kinda character that will annoy you, and MC is a retarded that's very obsessed with her. Giving 5 stars because of the low rating, I would actually rate this novel as 4.5 stars. Very interesting novel with a smart yet not arrogant MC, plus the other character around him are not unreasonable (most of the enemies too). Cultivation is not only the focus of the novel, with the MC taking tasks and making plans.